Tablet users who find themselves on the go and looking for a better way to write emails or blog posts might look to Verbatim’s Bluetooth keyboard for some assistance. Designed to pair with any Bluetooth device you can imagine, it’s a terrific companion for your Galaxy Tab or Toshiba tablet. Yes, it even works with the fruity stuff, too. 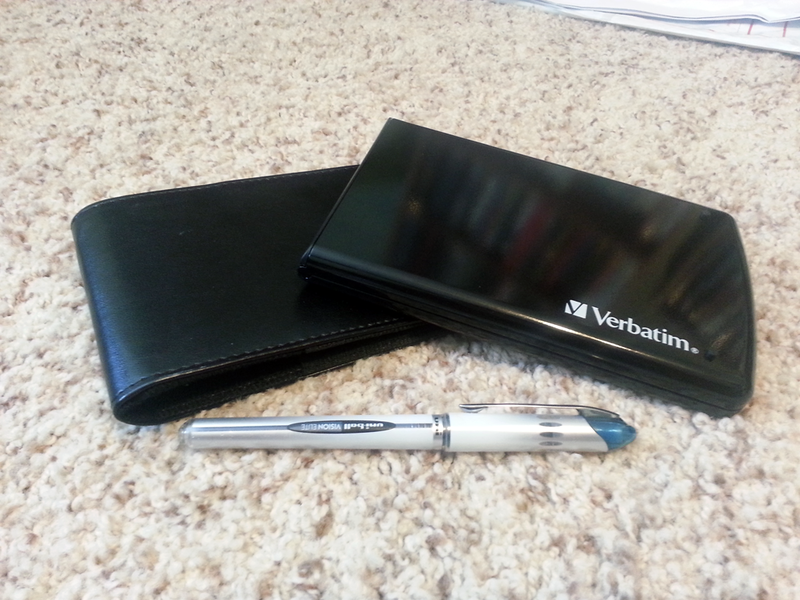 Unlike other Bluetooth keyboards, the Verbatim model folds in half and tucks away inside a carrying case. Roughly the size of a Galaxy Note, this is more portable than a flat Bluetooth model, and easier to toss in a bag. Folded in half and ready for carrying around. Additional feature that were impressed with include the media buttons for controlling music playback as well as the hot keys for launching Gmail and other apps. 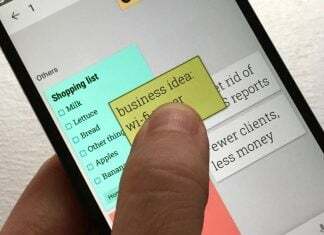 There are some other functions (cut, copy, paste, undo) that iOS devices can enjoy and we were disheartened (jealous) to see that our tablets could not quickly handle these shortcuts. Another item that we came to enjoy with the Verbatim Bluetooth Keyboard was that it runs off AAA batteries instead of an internal charge. It’s nice to be able to pull out a keyboard and know that it’s got juice in it and that you don’t need to steal a charger spot from your phone. Bluetooth Wireless – Designed to work with Bluetooth-enabled iPad, iPad2, iPhone & Tablet devices with HID keyboard support. Can be paired with up to six devices at one time. Media Console – Play, pause and control your digital music with the touch of a button. Enhanced volume controls for volume up, down and mute. Slide-Out iPhone Stand – Removable iPhone stand allows improved screen visibility when typing. Stand slides into keyboard for storage when not in use. 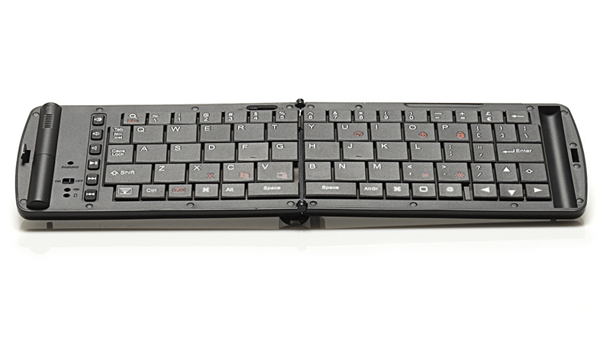 Low Profile Keys – Quiet, soft-touch keys provide crisp, responsive feel when typing. Normally priced over $100 we have a tough time saying it’s worth that kind of money, however the $56.71 on Amazon is much more in line what what we’d expect.